Mention Parent Friendly Stays when you book a family holiday at Higher Menadew Farm and receive a free bottle of wine on arrival! 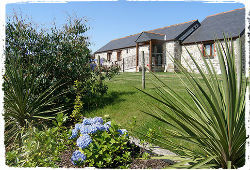 Higher Menadew Farm is situated in the heart of the Cornish countryside just north of St Austell Bay. The complex is handily located for a wide range of family friendly attractions and days out including the Eden Project and a variety of picturesque beaches, gardens and seaside villages. 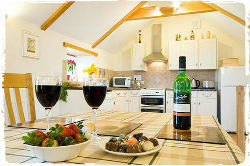 The seven self-catering cottages at Higher Menadew Farm are designed to offer relaxing and effortless family holidays. The properties are comfortably equipped and stylishly designed with wooden beams, wooden floors and comfy sofas. Most of the cottages have a log burner in addition to full central heating, and all come with a dishwasher and washing machine. Aside from one smaller cottage suitable for two adults, the remaining six properties each sleep between four and six people. 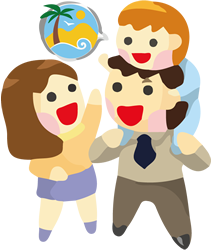 For an idea of prices, a week for a family of four in ‘Byron’ or ‘Haydon’ (both of which have a double and a twin bedroom) costs £1240 in August – a competitive price at the height of the summer! Children of all ages will enjoy Higher Menadew’s superb indoor heated swimming pool (open from Feb to December inclusive) which comes with changing and shower facilities. Arm bands, rings and floats are available for the use of younger guests. There’s also a games room with table tennis, table football, air hockey and a dedicated area for younger tots with playhouse and other toys. 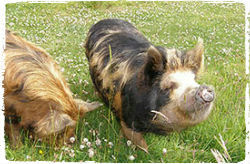 As the name suggests, Higher Menadew Farm has plenty of resident animals for children to help with feeding – including ducks, hens and pigs – and children can enjoy egg collecting too. There’s a large and safe grassy area for children to run around and let off steam – perfect for football, cricket, netball, badminton and volleyball – and a dedicated outdoor play tower with slide, swings and climbing wall. Oh, and there’s a trampoline too! Aside from knowing that there’s lots to keep your children occupied and entertained throughout your stay, Higher Menadew Farm also caters well for the needs of visiting parents. Cottages come with cots, high chairs and stair gates, and there are also other helpful items like bed guards and baby baths available to borrow. To help make dinner time easier, there’s a shared freezer containing delicious ready-made curries and local Cornish icecream available on an honesty-box system. All the cottages come with free WiFi but pets are not permitted. 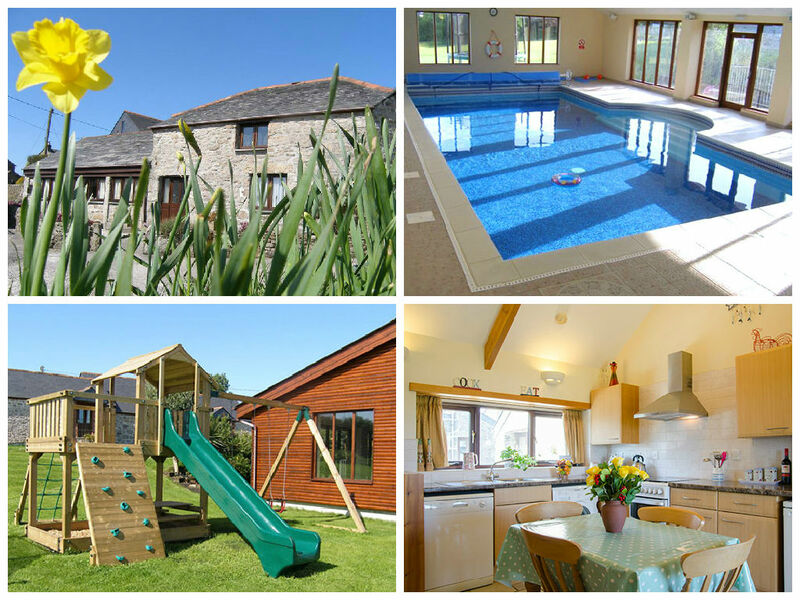 The facilities at Higher Menadew Farm are fantastic for keeping children of all ages occupied and, at Parent Friendly Stays, we think parents will be equally impressed with some great value prices. “Higher Menadew Farm offers superb quality holiday cottages with fabulous facilities … a place where you can really refresh, relax and unwind; families and couples love it here. If you’d like to find out more about family friendly holidays at Higher Menadew Farm, including booking and availability enquiries, just fill out the form below.